iOS 8 and OS X Yosemite brings a really useful feature that allows you to record the screen of your iPhone, iPad or iPod touch. It is a native feature that does not require you to have any third party app or a jailbroken device. 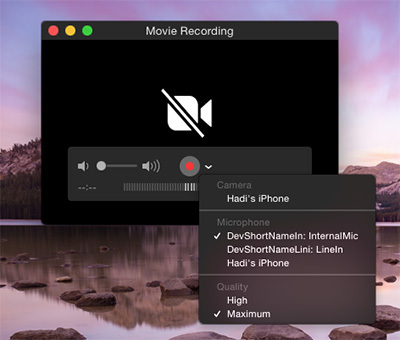 Apple has added the support of this feature to QuickTime for OS X Yosemite. You can record the screen of your iPhone, iPad and iPod touch in a simple way. This feature is designed especially for the developers as a video demo of their apps can be more powerful than the static screenshots. It is also very handy if you want to show someone how to achieve a task or if you want to show gameplay of a game. A Mac running OS X Yosemite or later. 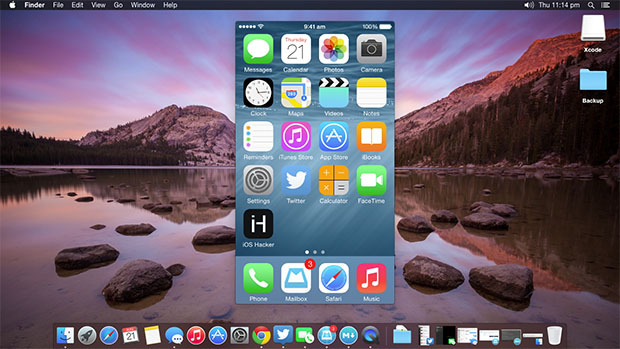 An iOS device running iOS 8 or later. Follow the simple steps below to record the screen of your iOS device. Connect your iPhone, iPad or iPod touch to your Mac via a Lightning Cable. Go to File and select ‘New Movie Recording’. A recording window will appear. You will a see little arrow for drop down menu in front of the record button. Click that arrow and select your iPhone. Select the Mic of your iPhone if you want to record music, app/game sounds. Click the Record button. Now perform the tasks on your iOS device that you want to record. Once done tap the stop button and save the video. 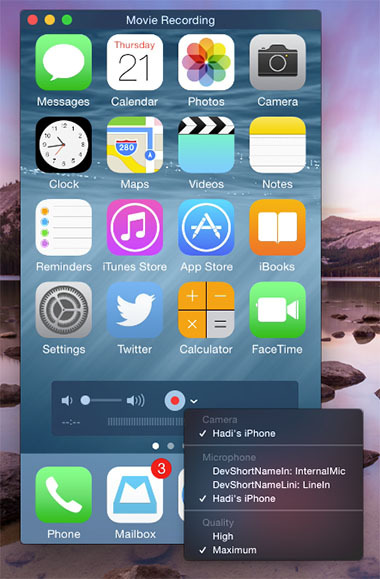 So that is how you can record the screen of your iOS device running iOS 8 through a Mac. Let us know of your thoughts about this feature in comments below.